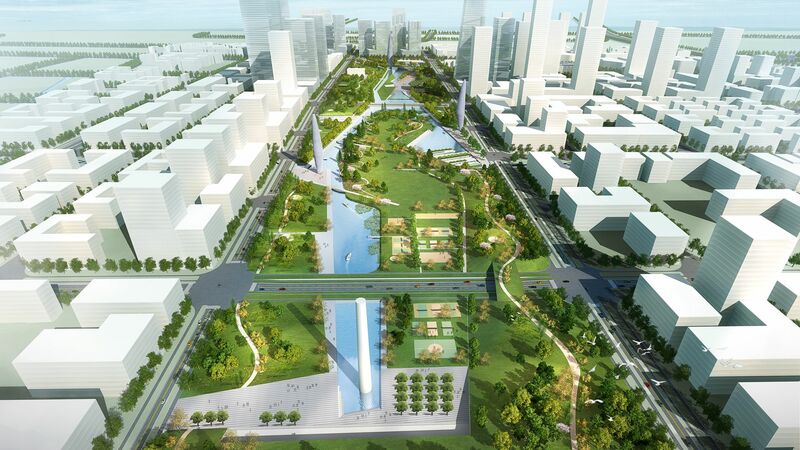 In the Poutu district of Shanghai the transformation of a huge industrial area is planned. 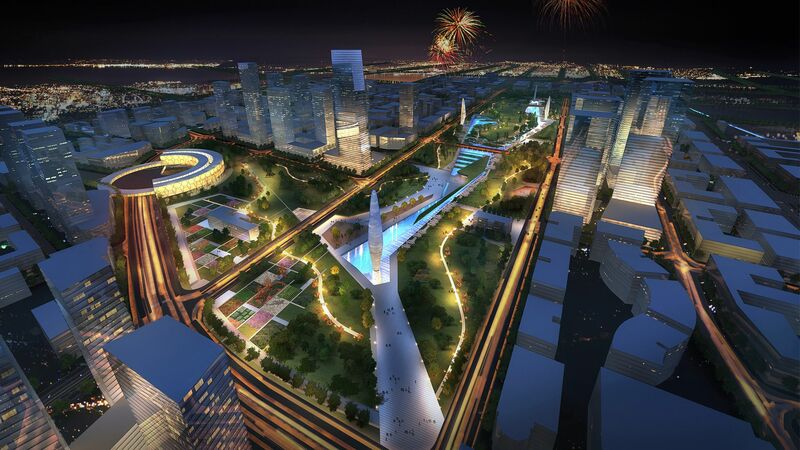 Main part of the new district is the Central Taopu Park with ??? ha. It is planned to partially shim it with a shopping mal and a congress and concert hall. It was the main objective to clean the heavily contaminated soil and water with a combination of technical and ecological measures. 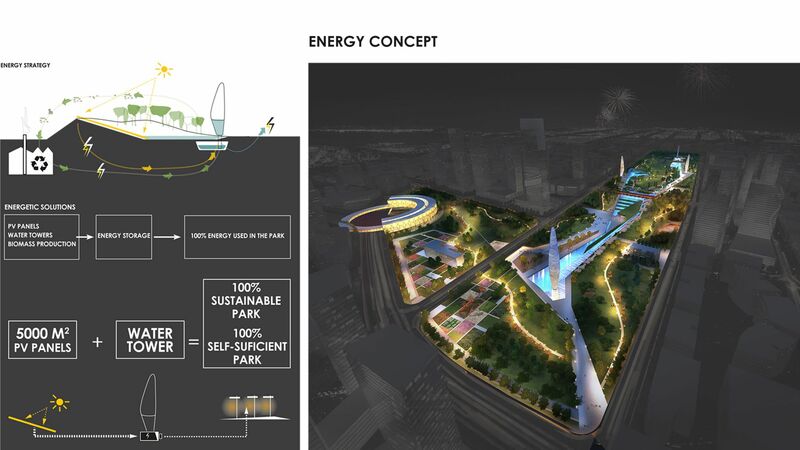 At the same time, it is aimed to produce as much energy that the whole ensemble becomes a zero-energy project. 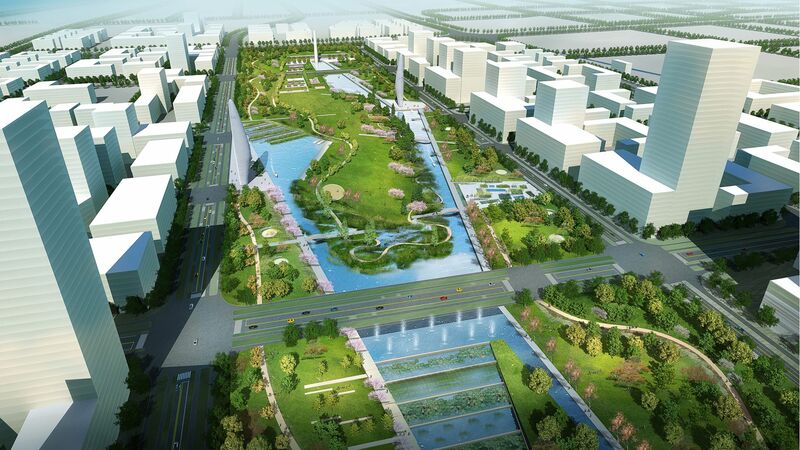 (Water towers, solar fields, biogas plants, but also soil and water clean up with suitable vegetation) The Taopu Park is supposed to become an attractive and lively urban meeting point, which offers a variety of cultural and sports possibilities. 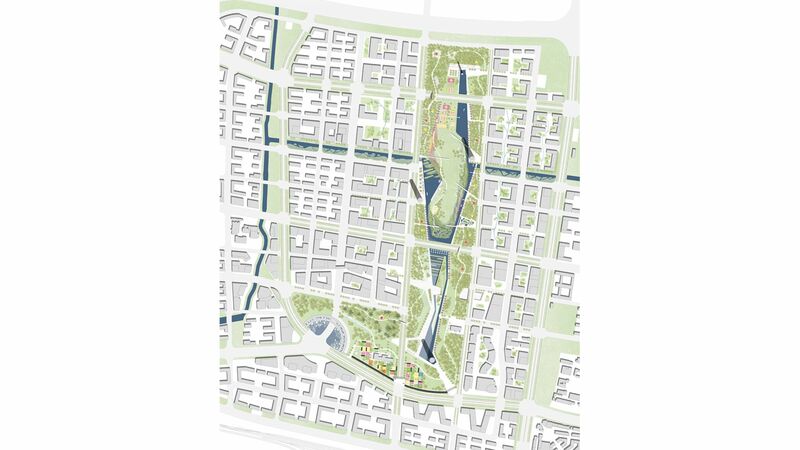 It is not a romantic park but a park of the 21st century that makes industrial history visible and shows new exemplary ways how to recultivate heavy used landscape.